The Outlast DLC development was announced in October 2013, however the exact release date of it was unknown. Finally, Red Barrels company has shared with its fans the detailed information concerning the add-on of the chilling game. 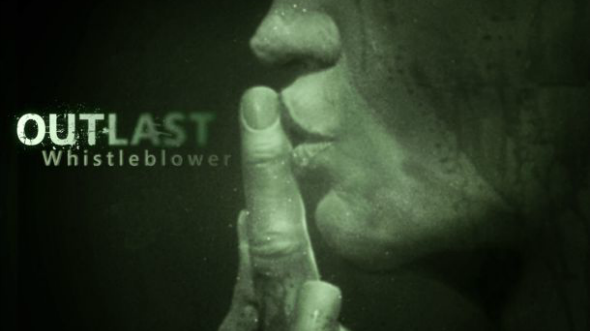 According to the studio’s representatives, the Outlast DLC, titled Whistleblower, will be available for PC and PS4 in April 2014. The addition will be a prequel to the original game and will tell the bloodcurdling story about the events, preceded the main plot. In the new Outlast DLC the gamers will get a chance to play a role of the anonymous whistleblower - a software engineer, called Weylon Park, - who spent a couple of weeks in the Mount Massive asylum without any possibility to talk with his wife and son. While staying at the hospital, Weylon began to suspect the scientists and doctors in performing some dangerous and terrible experiments with the patients. In addition, the Outlast DLC will enlighten the activity of the Murkoff Corporation. Besides, the players, who will survive during the game’s quests, will be able to open some fresh maps and meet new characters that know more truth than it may seem at the first sight. Let us remind you that the Outlast game was released for PC in September 2013 and for PS4 in early February 2014. Since then it has got a lot of positive reviews from different game portals.